A Brief Synopsis, on Ross Lockridge, Jr.
Photo of Ross Jr., 1946, by Francis (Jeff) Wylie. BIOGRAPHY: Ross Lockridge, Jr., novelist, was born in Bloomington, Indiana, son of an historian father and a psychologist mother. After moving to Indianapolis and then Fort Wayne, Indiana, his family returned in 1924 to Bloomington, where Lockridge continued his formal schooling, excelling in all subjects. He frequently accompanied his father on his excursions throughout Indiana, during which Ross Senior, well known as "Mr. Indiana," evoked local heroes in public oratorical performances that he termed "historic site recitals." Entering Indiana University in 1931, Ross Lockridge, Jr. spent his junior year abroad at the Sorbonne, taking highest honors among foreign students. Returning to Indiana University, where he was known as "A plus Lockridge," he graduated with the highest academic average ever accumulated there. In 1937, he married his high school sweetheart, Vernice Baker, while teaching as a graduate student in the Department of English and writing a 400-page epic poem, "The Dream of the Flesh of Iron" (unpublished). Accepting a scholarship to Harvard in 1940, he announced that he would write a doctoral dissertation on Walt Whitman. Actually, he began writing, in 1941, a novel based in part on his mother Elsie Shockley's side of the family. In 1946, now the father of four children, he carried the twenty-pound manuscript of Raintree County to Houghton Mifflin's offices in a battered suitcase. Accepted within five weeks, the novel, prior to publication, was excerpted in Life magazine, won an enormous prize given by MGM along with a movie contract, and was the Main Selection of Book-of-the-Month Club. 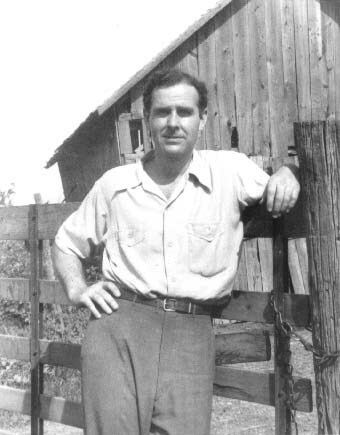 Lockridge revised the novel in a lake cottage in Manistee, Michigan, and visited Hollywood with his wife late in 1947. He and his family then moved back to Bloomington. Published on January 5, 1948, Raintree County received mostly lavish reviews. But Lockridge was already deeply depressed for a multitude of reasons that eluded the public eye. Two months following publication, and one day before his novel was announced the number one national best seller, he took his own life by carbon monoxide poisoning. His obituary was carried on the front page of The New York Times. SIGNIFICANCE: In Raintree County Ross Lockridge unabashedly aspired to write the Great American Novel, not a regional novel, but he anchored his 1,060-page narrative in nineteenth-century Midwestern history, folklore, and landscape. The novel incorporates many rites, customs, and linguistic practices of Hoosier culture in a carnivalesque atmosphere, and has been called, by Joel Jones and Charles Trueheart, at least the "Great American Studies Novel." Set in a mythical Indiana county based partly on Henry County, Indiana, the novel tells the life story of John Wickliff Shawnessy in a series of flashbacks occasioned by the events of a single day, July 4, 1892. It thus owes much to Joyce--as well as to such Midwestern writers as Anderson, Clemens, Dos Passos, Dreiser, Garland, Hemingway, Lardner, Lewis, Lincoln, Masters, and Tarkington. But Lockridge attempted an encyclopedic fiction that would be more accessible than Ulysses, as William York Tillyard noted early on, to the common reader. Its form is cinematic, indebted to Intolerance and Citizen Kane; its plot is based on Hawthorne's story, "The Great Stone Face"; and its themes reflect Lockridge's absorption in myth, environment, sexuality, and the need for reaffirmation of American idealism in the midst of cultural decline. --Archives Online -- Lockridge mss. circa 1837-2000 consist of the correspondence, unpublished manuscripts, photos, papers, and much more, some 75,000 items pertaining to the life and work of Ross Lockridge, Jr. To an Inventory. And this: Lockridge mss. III, circa 1837-2000. The Ross Lockridge, Jr. Archive - A Descriptive Bibliography, 448 pp. as prepared for the Lilly Library collection by Larry Lockridge is now available on line here. FURTHER READING: Book-length studies include Larry Lockridge's full-scale critical biography, Shade of the Raintree: The Life and Death of Ross Lockridge, Jr. (1994), and John Leggett's Ross and Tom: Two American Tragedies (1974), which narrates Lockridge's life as well as that of Thomas Heggen, author of Mister Roberts. A notable doctoral dissertation is Delia Clark Temes's "The American Epic Tradition and Raintree County" (University of Syracuse, 1973). Early journalistic reviews and review essays include James Baldwin's negative "The American Myth" in New Leader (10 Apr 1948), 10, 14; Howard Mumford Jones's "Indiana Reflection of U.S. 1844-92" in Saturday Review 31 (3 Jan 48), 9-10, which observed that the novel had ended a long slump in American fiction; Nanette Kutner's "Ross Lockridge, Jr.: Escape from Main Street" in Saturday Review 31 (12 June 1948), 6-7, 31, which includes a portrait of Lockridge's final days; Charles Lee's "Encompassing the American Spirit" from the New York Times Book Review (4 Jan 1948), 5, 21, the review Lockridge himself liked best; and William York Tindall's "Many-leveled Fiction: Virginia Woolf to Ross Lockridge" in 10 (Nov, 1948), 65-71. Journalistic reviews and review essays on the occasion of the novel's republication in 1994, simultaneous with publication of Shade of the Raintree, include Richard Bausch's "Success and the American Novelist" in the Los Angeles Times Book Review (15 May 1994), 2; Bruce Cook's "Raintree Revisited" in the Chicago Tribune Books (29 May 1994), 3; Scott Donaldson's "Nowhere to Go but Down" in the Washington Post Book World (10 Apr 1994), 11; Christopher Lehmann-Haupt's "Novelist's Work and Death" in the New York Times (2 May 1994), C13; Tim Page's "In Search of Raintree County" in Newsday (17 Nov 1994), 1, 4-5, 7 (pt 2); and Charles Trueheart's "The Great American Studies Novel" in Atlantic Monthly (Sept, 1994), 105-11. Of the score of major 1994 reviews, only Trueheart's is, on balance, negative; several critics reconfirm Lockridge's early high estimate of his own novel, which remains, however, in problematic relationship to the American canon. Notable critical essays include Daniel Aaron's "On Ross Lockridge's Raintree County" in Classics of Civil War Fiction, ed. David Madden and Peggy Bach (1991), 204-14; Joseph Blotner's"Raintree County Revisited" in Western Humanities Review 10 (Winter, 1956), 57-64, and his Introduction to Raintree County (1984), xiii-xvii; Fred Erisman's "Raintree County and the Power of Place" in Markham Review 8 (Winter, 1979), 36-40, which makes a case for the novel as ecological fiction; Park Dixon Goist's "Habits of the Heart in Raintree County" in MidAmerica XIII (1986), 94-106; Donald Greiner's deeply considered "Ross Lockridge and the Tragedy of Raintree County" in Critique: Studies in Modern Fiction 20 (1978), 51-63; Joel Jones's "The Presence of the Past in the Heartland: Raintree County Revisited" in MidAmerica IV (1977), 112-21; Leonard Lutwak's "Raintree County and the Epicising Poet in American Fiction" in Ball State University Forum 13 (Winter, 1972), 14-28, which contains a close structural analysis; Darshan Singh Maini's "An Ode to America: A Reconsideration of Raintree County" in Essays in American Studies, ed. Isaac Sequeira (India, 1992), 142-49; and Gerald Nemanic's "Ross Lockridge, Raintree County, and the Epic of Irony" in MidAmerica II (1975), 35-46. David D. Anderson has edited a collection of critical essays, Myth, Memory, and the American Earth: The Durability of Raintree County (1998). To the Dictionary of Midwestern Literature (DML - Volume 2) with an updated and greatly expanded synopsis on Ross Lockridge, Jr. The author is one of 35 entries "on pivotal Midwestern literary works...." DML - Volume 2, subtitle"Dimensions of the Midwestern Literary Imagination", Philip A. Greasley, General Editor, published by IU Press, 7/27/2016, 1080 pp, 154 b&w illus., 20 maps.